Can you remember your first mobile web experience? While mobile devices still lag behind their desktop counterparts, they are certainly useful for some limited web browsing. And when connected to a Wi-Fi router, many devices operate at speeds that are totally satisfying. If your mobile browsing experiences have been getting better and better, we’re happy to confirm that, no, you weren’t imagining things. The mobile web is actually about 30% faster than it was last year, according to a recent report from Google. 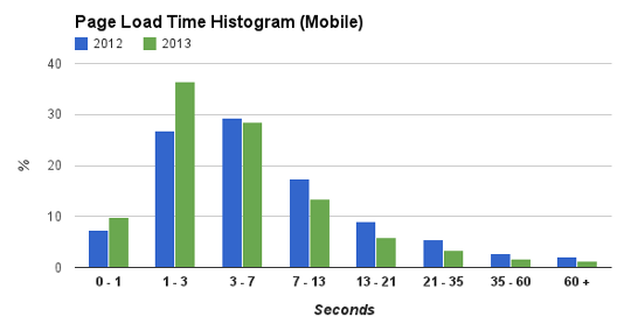 More specifically, mobile page load times are 30% faster. 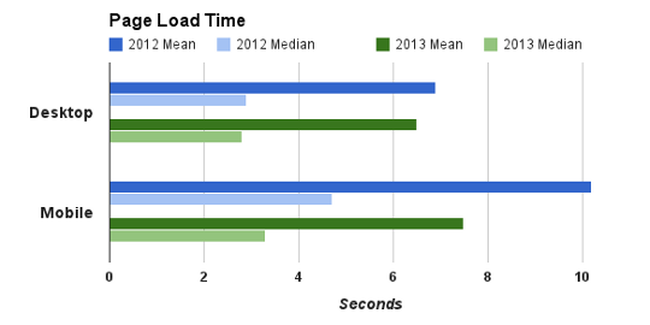 About a third of pages load in 1-3 seconds, and about another third load in 3-7 seconds. That is, almost three-quarters of mobile web page openings were fully loaded in less than 7 seconds. I know 7 seconds seems like like a lot. So the mobile web is significantly faster, compared to just last year, and is light-years ahead of where we were beyond that. In addition, the improvements have come to many countries around the world, not just the U.S., so many hotspots around the globe are speeding up. Soon enough, all of our mobile devices will support web browsing that is too fast to complain about.